With Halloween officially over, our focuses turn festive and luckily the city has our backs in helping us celebrate the most wonderful time of the year. So whilst it might be cold outside, here's just a few reasons to brave the freeze. This weekend (5th-6th November) only, the shopping centre will host a pop up weekend event with free makeovers, A/W tips and styling advice as well as the chance to win vouchers to spend in store. MUAs will be on hand to get you Saturday night ready and if you register ahead of time, you'll walk away with a goodie bag too. Saturday night stress gone! 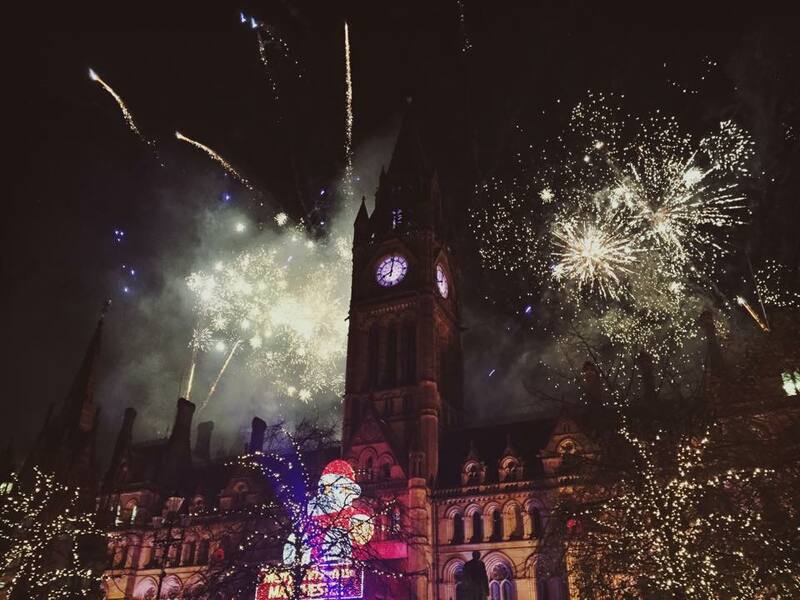 We all know it's not Christmas in Manchester until the Santa's at the top of the Town hall and the lights have been switched on. This year we've got performances from Louise Johnson and MOBO-nominated band M.O. The crowds get pretty crazy at this one so although it kicks off at 7:30pm, I can't stress enough to get there early as the venue fills up super quick! Bring some snacks and drinks for the wait and wrap up warm! 5th of November creeps up this weekend and there's lots of events happening across Greater Manchester from a BBQ and fireworks in Chorlton to the usual epic show at Heaton Park with fireworks, food and a funfair. Most fireworks kick off around 7pm so get there then to catch the pretty displays. The world-famous Manchester Christmas Markets return this week, and love 'em or loathe 'em, they cause a stir among the city and look hella pretty. From craft beers to gift ideas, delicious food and music - book a date in your diary to visit these. Manchester's going ice cold this winter with not one, but two ice rinks opening across the city centre: one at the London Road Fire Station and one just by Manchester Victoria station if you fancy a few laps. Wanna go out but not get cold? We feel ya. So the guys at Oasthouse have put up their winter tipi for cosy mulled wines and food for a different kinda night out. So we may not be in the snowy mountains but we'll apres ski anyway... The cute wooden chalets open in Spinningfields for festive drinks, nibbles and karaoke. These get booked up in advance, so pop your name down quick!